The Fuss about biotechnology: Why? Science, technological innovation and a fundamental understanding of nature are among the major drivers of progress. Today’s advances in the treatment of human disease have been made possible by the discovery of penicillin by Alexander Fleming in 1928 and the DNA double-helix structure by Watson and Crick in 1953. These discoveries have saved the lives of countless people battling with bacterial infections; the number one cause of death in the last century and made possible today’s advances in the treatment of human diseases. Significantly, advances in the agricultural sciences and plant breeding through Green Revolution, has also saved millions of people from starvation. Farmers all over the world face the challenge of doubling food production to meet the needs of a population that is expected to reach nine billion by mid-century and maintaining soil and water quality and conserving biodiversity. Maintenance and reservation of natural resources and need to support the livelihoods of farmers and rural populations around the world are major concerns. These challenges which are mainly linked to climate change, food safety and security, poverty and social exclusion, global warming, depletion of fossil fuel resources and fights against disease are already high on the public and political agendas. In Nigeria, the challenges together with other constraints such as insect range expansion, extreme weather increase, weed pressure and Fulani herdsmen have broadened the scope of the impact. Agriculture, which needed to increase production by 70% to feed the population, is grossly affected by these natural hazards and disasters. Therefore, innovation and technology are fundamental to Agricultural transformation, in the reduction of major impacts and Nigerians, particularly farmers need to make decisions under these extreme unstable and insecure circumstances. Besides, there is need to support farmers and increase access to innovation, impact policy and improve public perception. To counterpoise the predicted increase in the world population and the related implication of climate change, science has to develop technologies that increase yields and productivity in a sustainable way, while lowering the demand for fertilisers and pesticides, and adapting crops to match the effects of changes in the environment. Technological development and demonstration activities are some of the world’s largest international projects for basic and applied research, and are means of our collaborative innovation to tackle these global challenges we face. The concept of the Bio-Economy provides many scientific and technical solutions to enhance resource efficiencies and reduce environmental footprints through an economically viable and socially responsible approach. The basic challenges for global institutions and industries will be to increase resource efficiency and develop more eco-efficient products and life cycles. 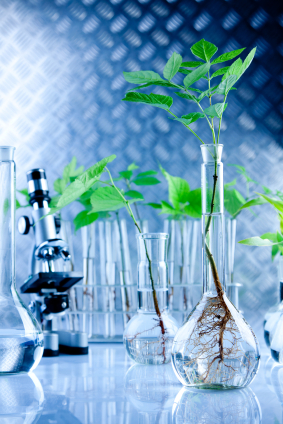 Biotechnology became the key component of the Bio-Economy due to its large diversity. It is a concept applicable in a range of fields ranging from primary production to industrial and pharmaceutical applications, and involving emerging technologies such as synthetic biology. Modern biology is used to address major challenges, including food and feed security and safety, the development of renewable resource platforms and pharmaceuticals, while improving environmental sustainability. Biotechnologies could provide us with useful tools in sectors such as agriculture, fisheries, food production and industry. Crop production will have to subsist with rapidly increasing demand while ensuring environmental sustainability. In order to achieve the best solutions, we must consider all the alternatives for addressing these challenges using independent and scientifically sound methods. These alternatives include genetically modified organisms (GMO) and their potential use. Undeniably, GM technology is an important tool in the fight against global poverty and food insecurity and based on a growing body of evidence, biotechnology is not more risky than alternative technologies. 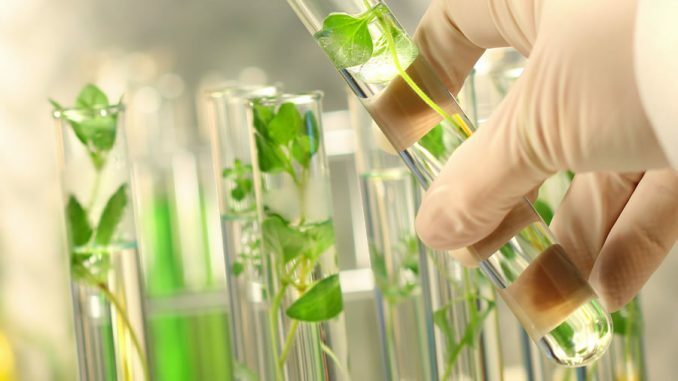 The introduction of such advanced processes and materials based on biotechnology and GMOs has enormous potential not only to enhance quality of life while reducing environmental footprints, but also to improve the competitiveness of global industry. As with all new technologies, the potential risks and benefits must be identified and quantified. You will note that recent projects dealing with the development of new products and processes based on GMO technology fully integrate safety assessments in their conception, experimentation, development and application. As published in ‘’A decade of EU-funded GMO research’’, a publication of the Directorate-General, European Commission, for research and development; the principles laid down in the ‘Europe 2020’ Strategy, adopted by the European Council on 17 June 2010, where building the Bio-Economy is one of its main targets, are aiming to ‘… re-focus R&D and innovation policy on the challenges facing our society, such as climate change, energy and resource efficiency, health and demographic change. Every link should be strengthened in the innovation chain, from “blue sky’” research to commercialisation.’ It stated ‘that these principles will enable Europe to thrive in an even more competitive and resource-limited global economy, providing education, knowledge, health support and, above all, job opportunities for generations to come’. From same publication, review of the last ten years of research projects launched under the Framework Programmes for research, technological development and demonstration activities, focusing on safety aspects of GMOs, took account of developments in the field over time. It shows that more than EUR 200 million has been invested through the Framework Programmes since the year 2001, developing agricultural management techniques for co-existence, tools for detection in and analysis of food and feed, and methods for risk assessment of GMOs, thus responding to the need of farmers, consumers, industry and policymakers. Estimates indicate that the European Bio-Economy is worth EUR 2 trillion annually and accounts for some 22 million employees. The EU already has a very strong research presence in the field, for example in industrial and pharmaceutical biotechnologies, and includes significant know-how on the health-related aspects of the Bio-Economy. It is quite interesting to note these developments from Europe. However, ‘’economic pressure in a globalised world and the experience with biotechnology in Europe should encourage us to pursue the development and application of all available technologies without prejudice, while respecting fundamental safety and ethical principles. It is predicted that, whereas the past century was transformed with the commercialisation of personal computers and the development of the Internet, the 21st century will be revolutionised by our growing understanding of the functioning and interaction of biological systems, whether at the molecular or at the ecosystem level’’. However, sound policy, which shall take account of a wide range of views, must be based on sound science. Only a structured dialogue with policymakers, stakeholders and the public, based on science and empirical evidence, will clear the coast for a balanced assessment of the benefits and risks of biotechnology and GMOs within the framework of the bio-economy. Therefore, there is need to support scientific studies on Biotechnologies and the GMOs to ensure available evidence for a constructive debate in our societies. It is remarkable that after 25 years of field trials without evidence of harm, fears continue to trigger major fuss and controversies like; can a GM crop become a ‘super weed’, devastating our habitat in a glimpse? Do we disturb the ‘natural biodiversity balance’ more when we grow GM crops than when we stay with traditional crops and intensive monocultures where large quantities of chemicals are used? Does the involuntary and irreversible spread of genes really represent such a danger and justify such an alarming scenario? The potential adverse effect on non-target organisms is also frequently mentioned by ecologists. It should be noted that meeting the challenge of proving the safety of GM crops is not so easy. Apparently, it looks scientific, but not at all. Science can certify the existence of danger, but not its absence. Expert contention that a 100 % GM variety approved for commercialisation is neither more nor less of a health or environmental problem than its parent crop will not shelve these questions. The scientific world did not realise that it was not just enough to say that intensive agriculture causes environmental disruption, independent of whether the crop is GM or not, and that we can in any case develop novel GM varieties that are more environmentally friendly. Our society needs a step-by-step evidence of studies that support such statements. Fortunately, genomic studies of the last decade, as published on page 55 of ‘’A decade of…; have demonstrated that a genome is not a static entity but a dynamic structure continuously refining its gene pool. The adaptation, survival and evolution of plants depend on their ability to alter genomes through transposition of the movable elements, accumulation of deletions, insertions, gene amplifications and point mutations. So, for a scientist in genetics, the act of splicing to generate a transgenic organism is a modest step when compared to the genomic changes induced by all the ‘crosses’ and breeding events used in agriculture and husbandry. The molecular biology tools simply add a new precision, speed and reach to this indispensable process of species domestication’’. It was therefore a surprise for scientists to discover that public opinion did not ‘buy into’ this line of thought. Reports from EU fact sheets stated that “GM foods currently available on the international market have passed safety assessments and are not likely to present risks for human health. In addition, no effects on human health have been shown as a result of the consumption of such foods by the general population in the countries where they have been approved. 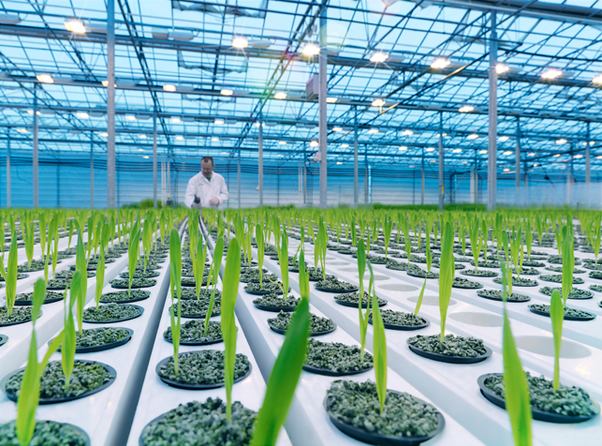 Continuous application of safety assessments based on the Codex Alimentarius principles and, where appropriate, adequate post market monitoring, should form the basis for ensuring the safety of GM foods. Prof. B.O Solomon from Obafemi Awolowo University Ile-Ife, Nigeria, pointed out that is important that farmers and consumers of crop products in Africa be given an opportunity to benefit from increased opportunities, productivity, and efficiency which can result in low costs of food by having GM crops commercialized in African countries. According to Clet Masiga from Uganda, ‘’Every field is using scientific innovations to advance and there should be no exception in plant breeding’’.